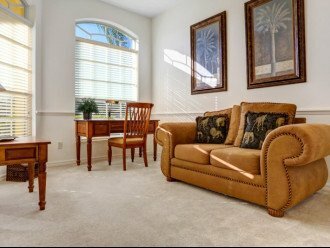 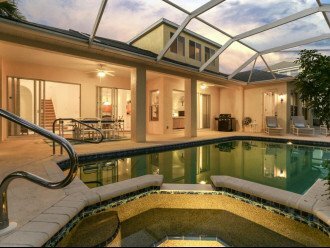 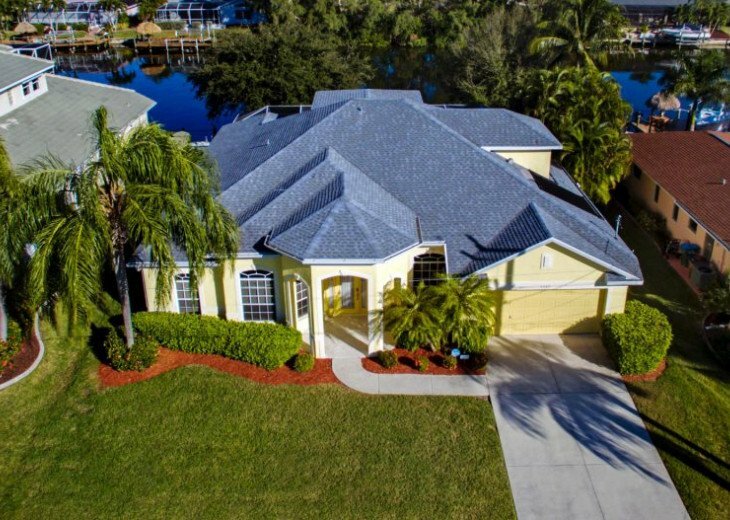 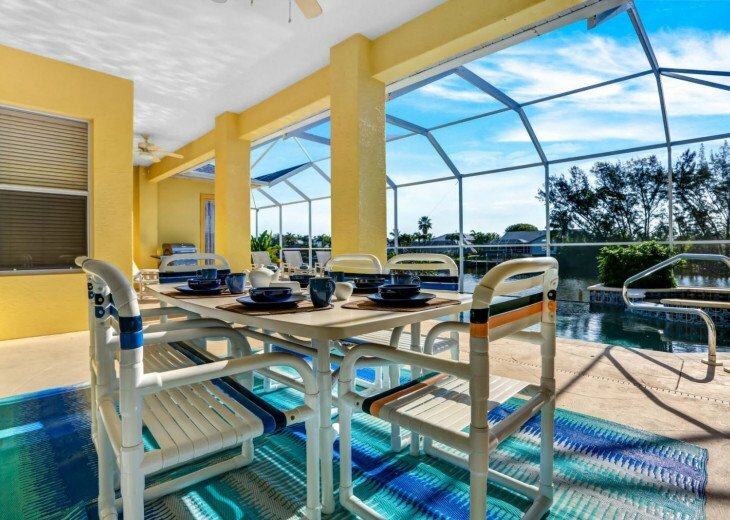 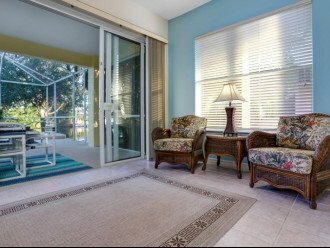 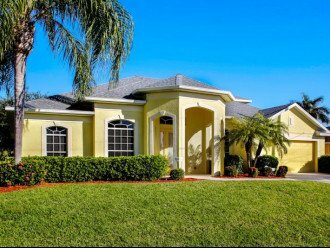 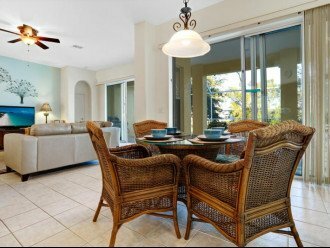 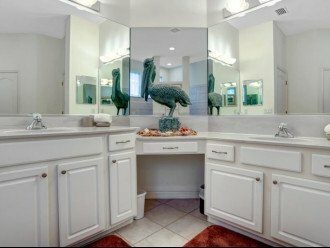 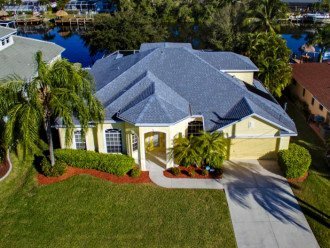 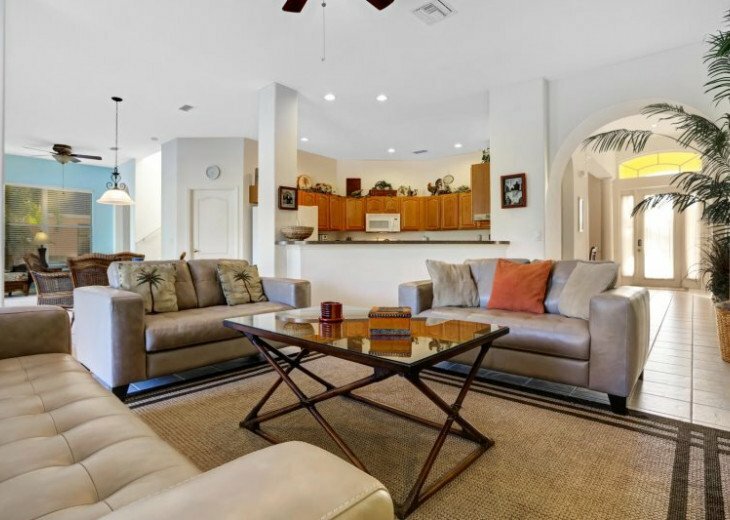 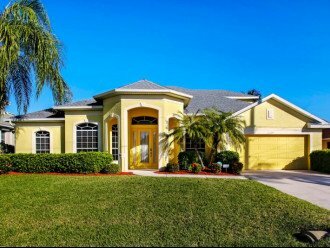 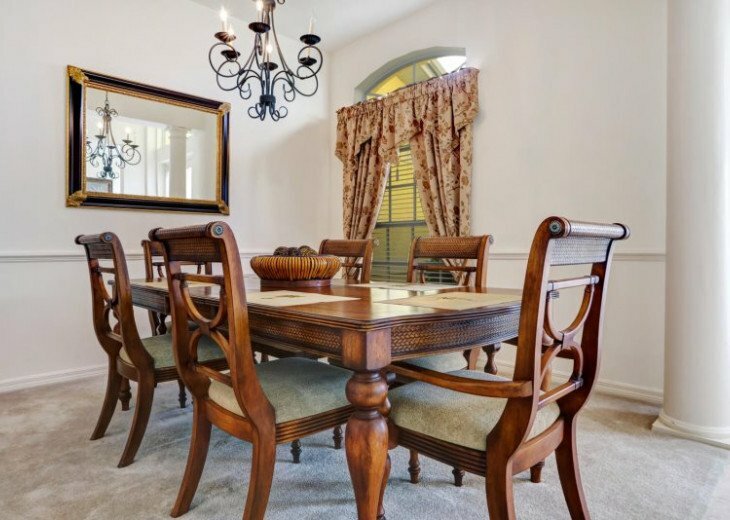 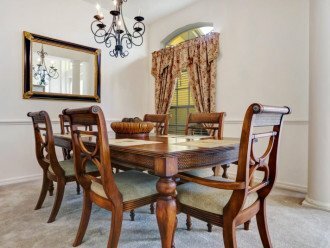 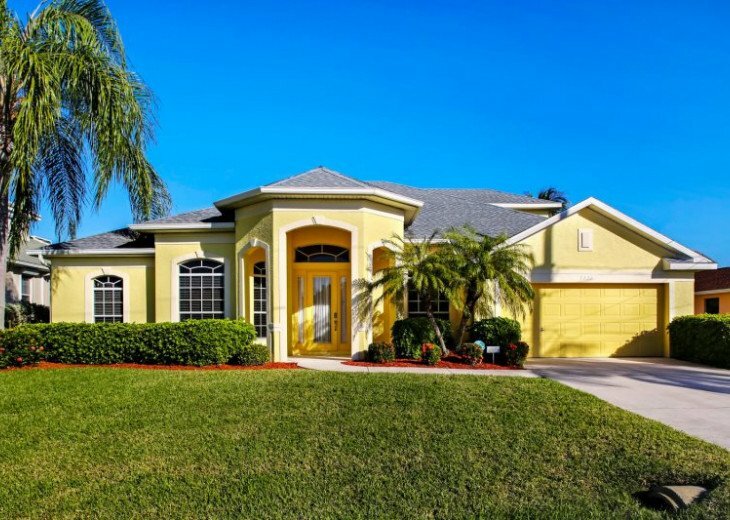 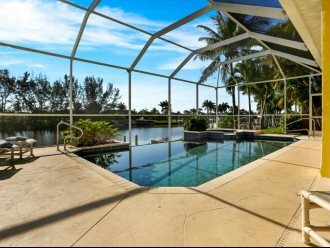 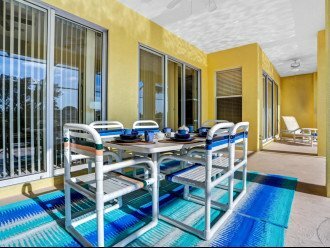 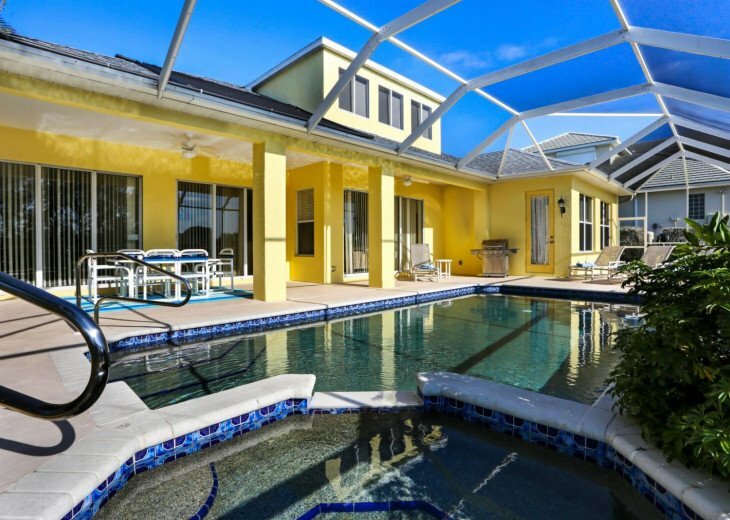 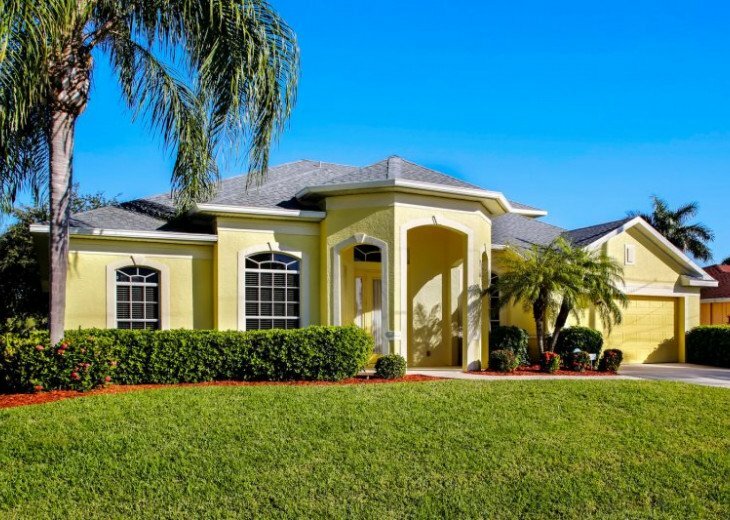 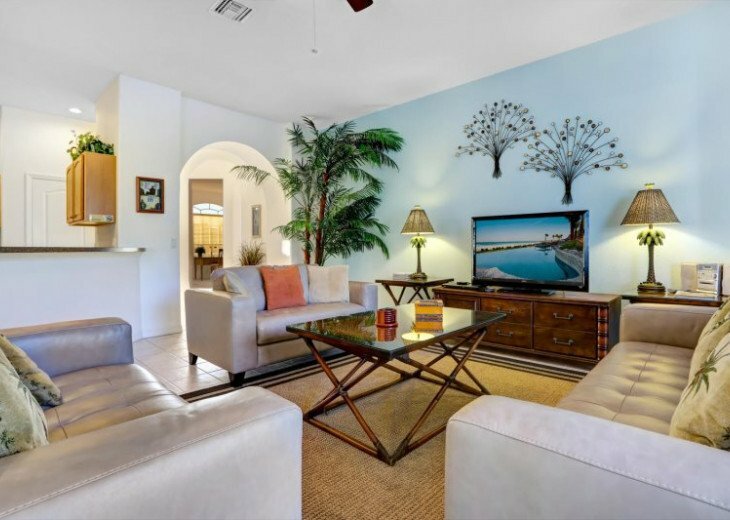 This super spacious 4 bedroom villa is located in one of the most prestigious locations in SW Cape Coral. 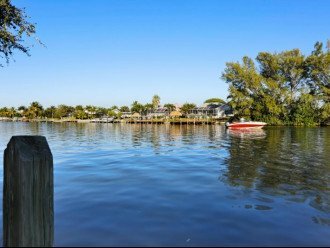 The lot is located right on the Merrick Canal, which is one of the widest canals in the Cape. 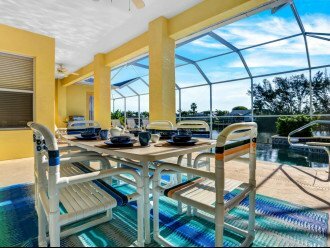 You'll enjoy gorgeous views of the infinity pool, the spa and the beautiful canal. 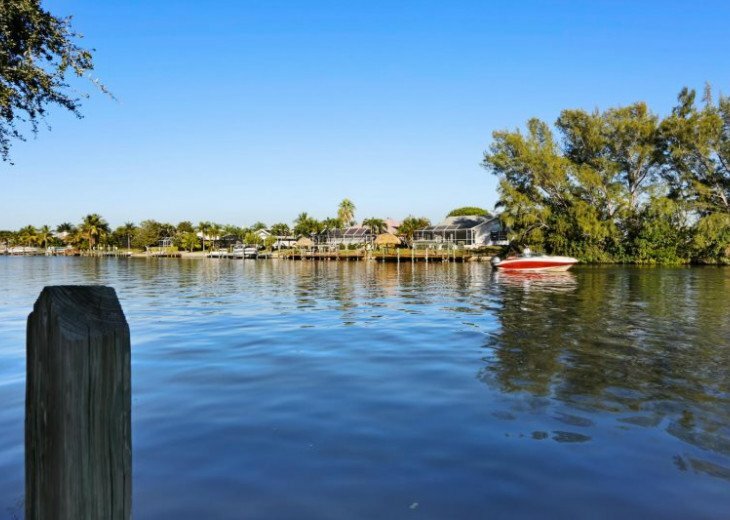 You’re only 5 minutes away from enjoying Cape Harbour marina, with all the restaurants, bars, shops and the beautiful luxurious boats in the marina. 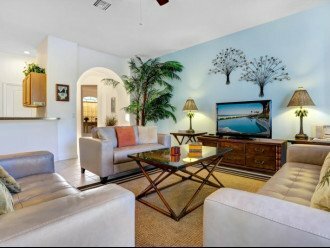 The Villa offers four bedrooms, three and a half bathrooms, a large living room and dining area, a fully equipped kitchen and a small den. 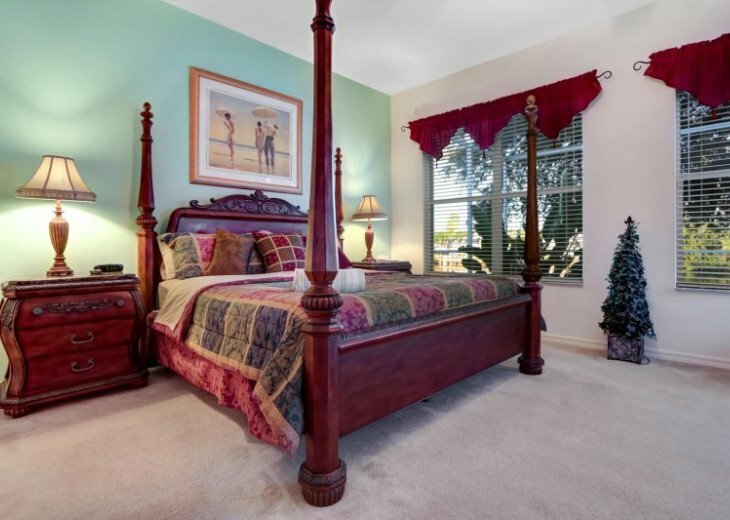 The villa has two en-suite master bedrooms. 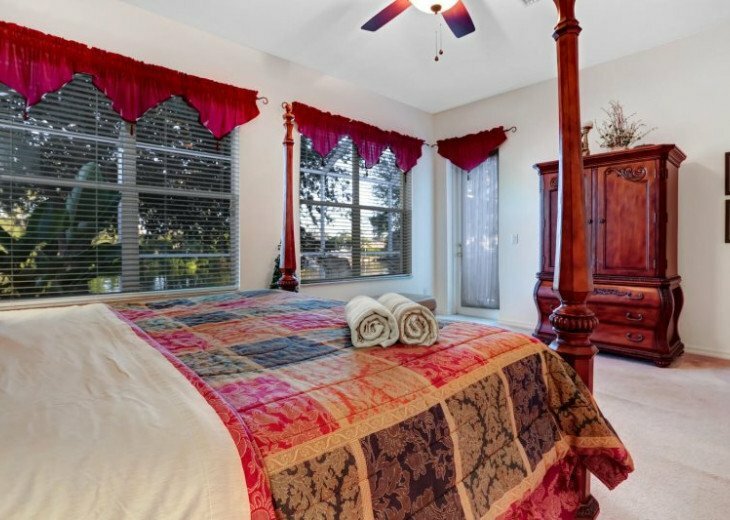 The downstairs Master bedroom has a king size bed and TV/DVD. 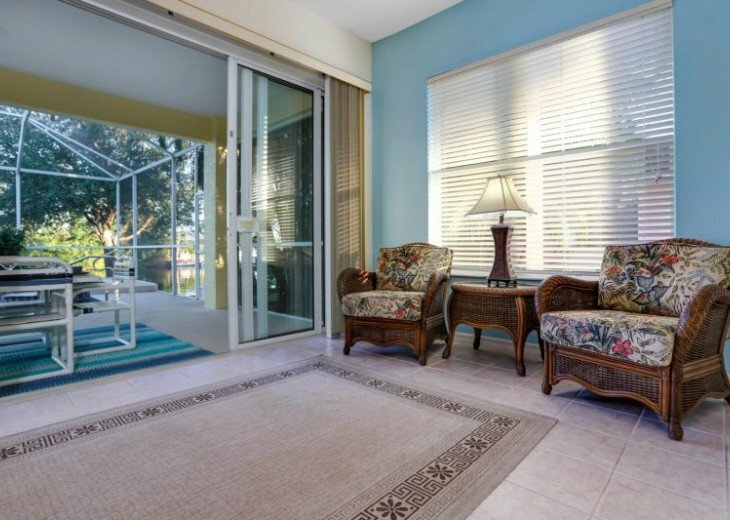 The French door opens directly onto the pool deck. 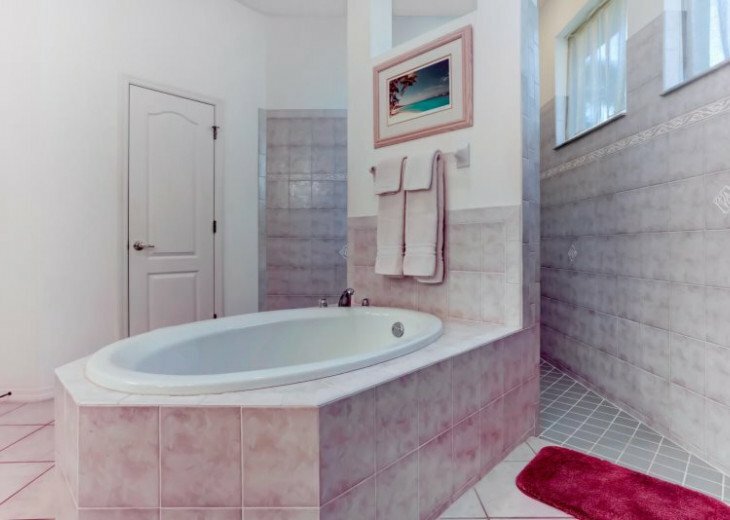 The master bathroom has a ‘walk around’ double head Roman shower, centre bath, separate toilet, twin vanity units and his & hers walk-in closet. 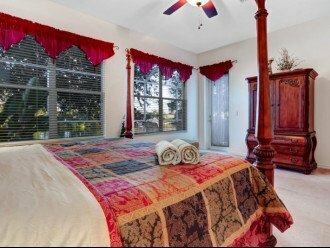 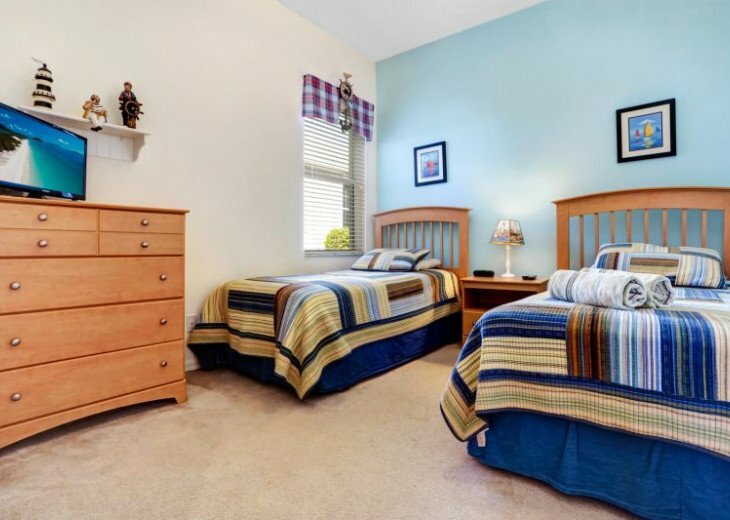 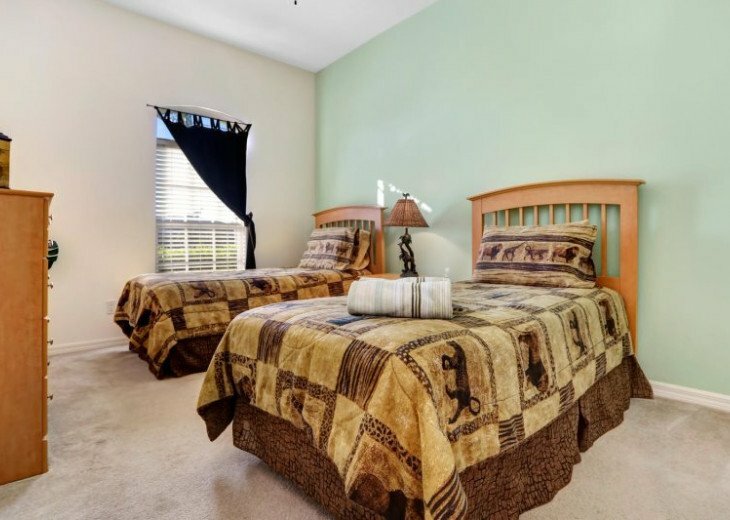 The Second Master bedroom is the entire second floor. 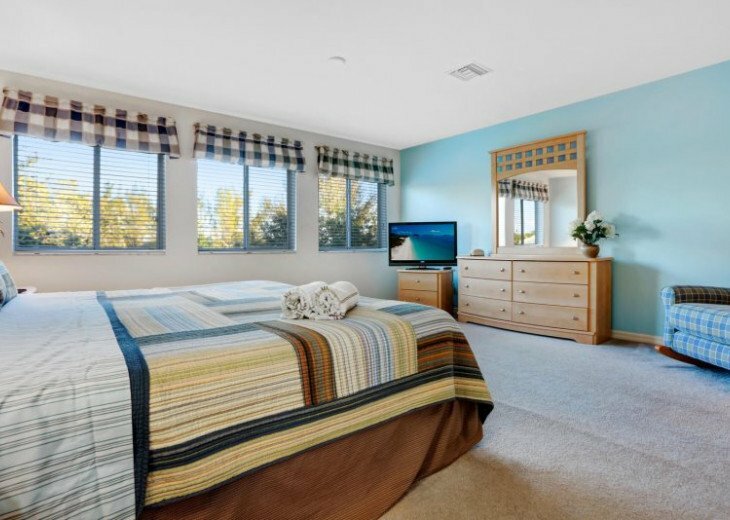 It has a king size bed, a TV and absolutely amazing views over the water. 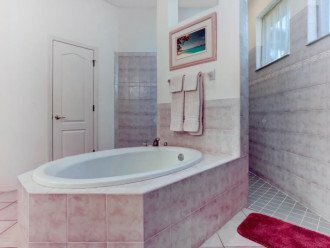 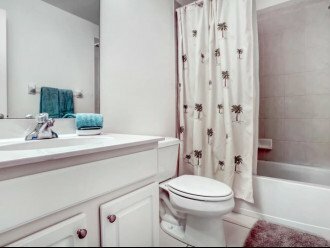 The Second master bathroom has a shower/tub and a single vanity and toilet. 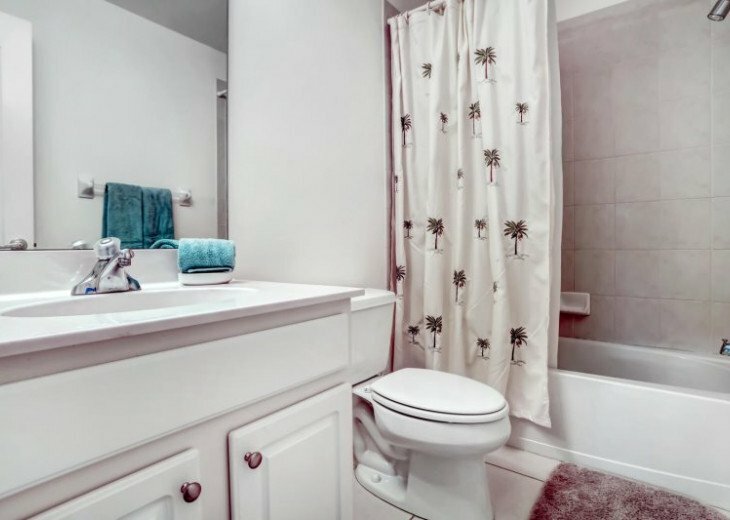 The third bathroom has a shower/tub, toilet and single vanity unit. 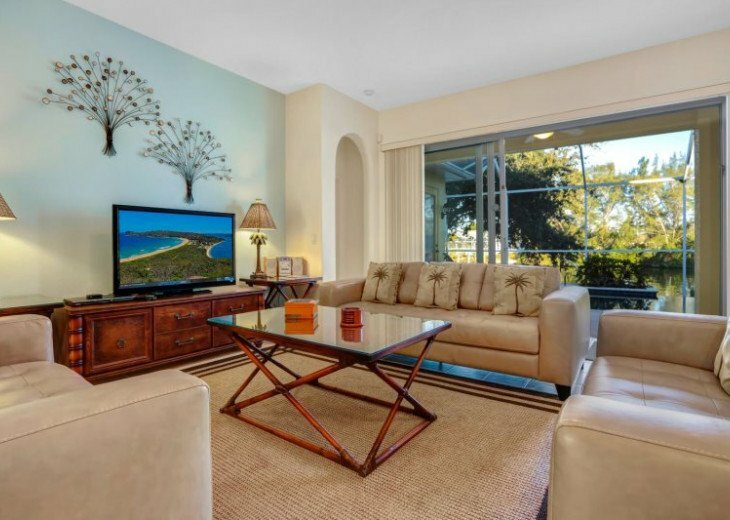 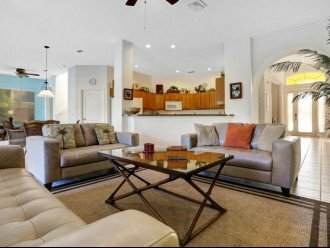 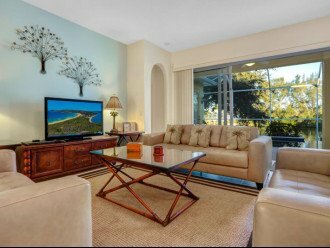 The living space combines a spacious TV area, kitchen and dining area, perfect for family vacations. 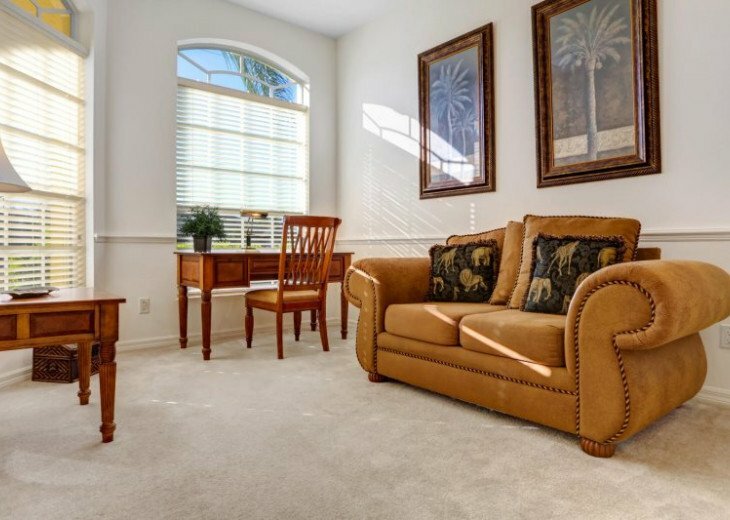 There's a den on the first floor with a smart office space. 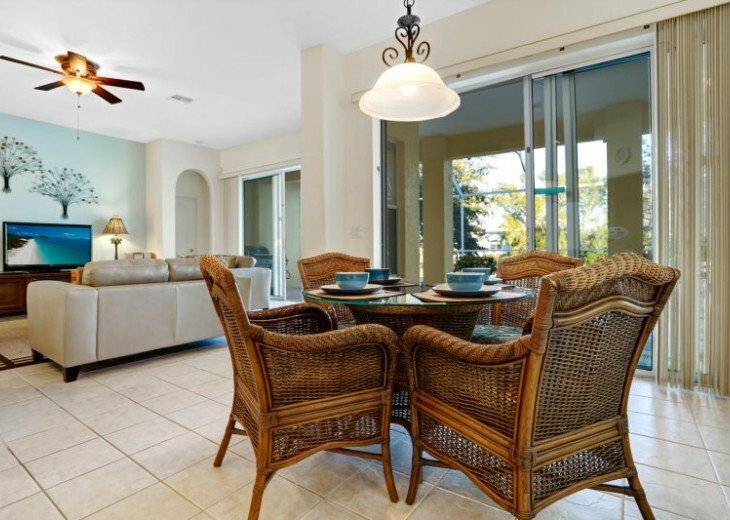 The villa also offers WiFi if you want to use your own computer, pad or smartphone. 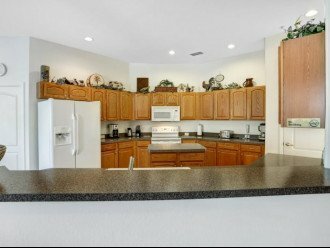 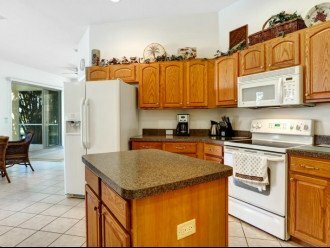 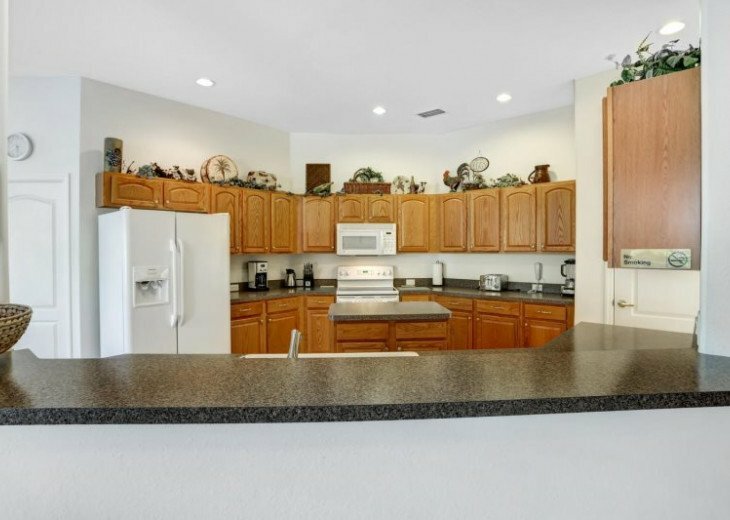 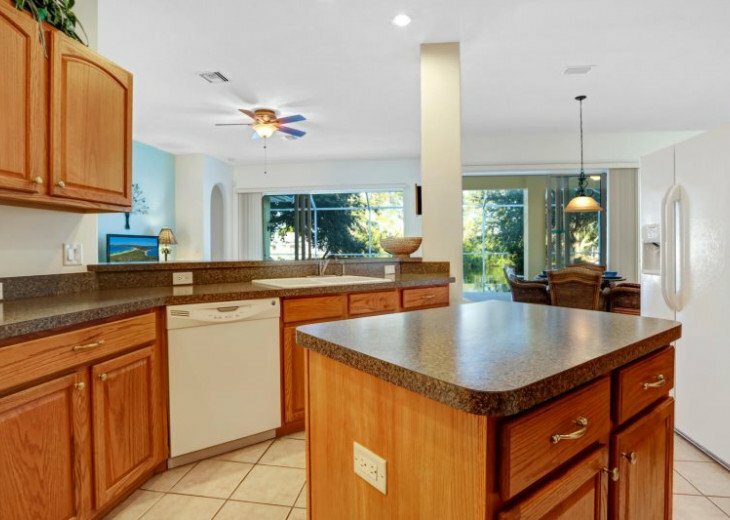 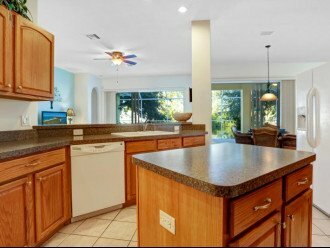 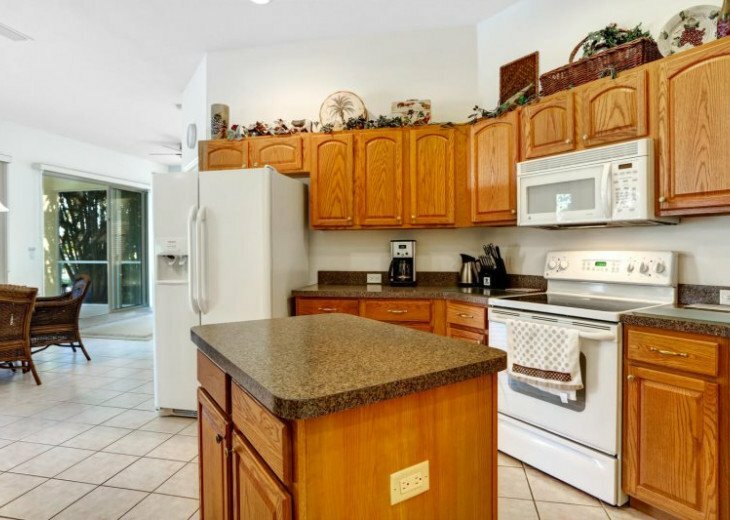 The kitchen is fully equipped with a full sized refrigerator, stove, oven, microwave, dishwasher, ice-maker, fryer and Espresso machine, everything you need for a perfect vacation. 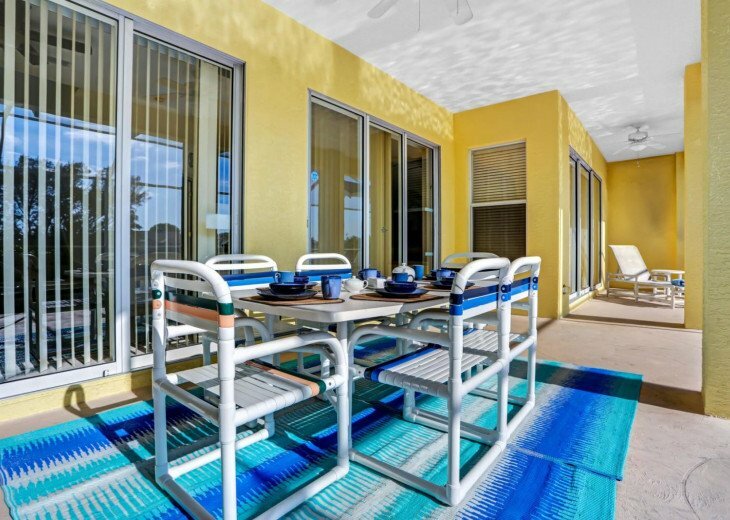 Outside there is a gas BBQ-grill. 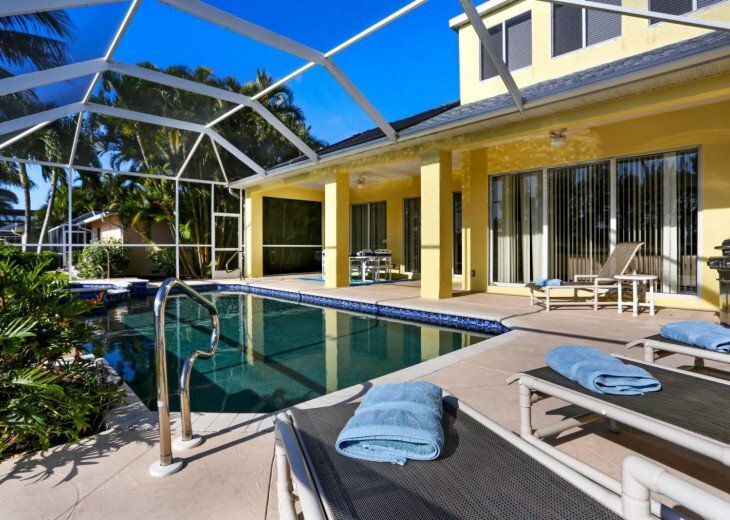 The villa has a big garage for two cars with remote controlled openers. 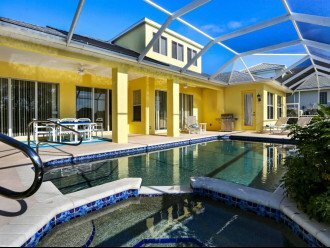 Come and enjoy this beautiful Vacation Home.